On our way to Durban! Ik kan wel zeggen dat wij allemaal enorm hebben genoten van een fantastische reis, door jou perfect georganiseerd. Zuid-Afrika is een prachtig land dat ons in vele opzichten heeft verrast. Een land om terug te komen. Heel veel dank en hartelijke groet, Anneke. You are absolutely correct. We left so many things that some day we will need to do. We definitely have plenty of reasons to come back, which I am sure we will do. For me, the real litmus test is how well Catherine liked the trip, and on that note it was a real success. She thought the itinerary was perfectly balanced and every segment a real treat and different from the one before. There were no disappointments other than some rain during the last 2 days at Marataba, which we can’t control. I think, if there was a favourite part, it was the safari. In the end, we spent 3 nights at Trails and 2 at the Safari Lodge. We loved Trails best – the walks, the solitude, the service, the accommodation and the post safari dinners – all fantastic. Thank you so much for customizing the trip for us. It was a special vacation and one that we will remember and speak of for a long time. Many thanks again for your cooperation on the tour. The group is coming back satisfied. Travelling with Jessy and Rosie as a solo parent was a fantastic experience. I have so many great memories of that trip and we did so much within less than 2 weeks! Jessy made the bookings and I trusted her great knowledge and gusto in choosing accommodation and activities. We set out to explore Johannesburg staying in 3 fantastic places in Melville and Soweto and continued our trip into Limpopo, where we stayed in a beautiful luxury guest house. The highlight of Joburg was our stay at Lebo’s backpackers in Soweto. This is a lovely house opposite a great expense of land where you can pitch your tent, braai and enjoy evenings around the fire. As part of a series of cultural evenings Lebo’s had invited a pioneer of music production from Soweto to talk about his life and exchange ideas with guests (mainly foreign backpackers) around the fire. Brilliant idea! And so good for visitors to this country to hear about the creativity and talent emerging from the area. The following day we went on a bicycle tour organized by Lebo’s. They have tons of mountain bikes and young local guides who really know about the history and the cool places in that part of Soweto. We ended our trip in the Vilakasi street area, at the Hector Petersen memorial. My son, a teenager, and a proud African, was super excited about the Soweto trip and actively took part in the cultural exchanges. I also loved the evenings when we booked a baby-sitter and went out to the Jazz club in Braamfontein and to see Simphiwe Dana’s show. 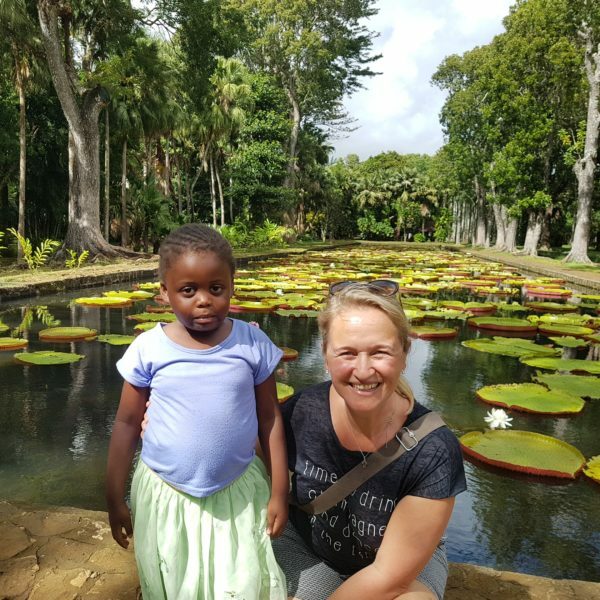 In Limpopo we stayed at the gorgeous Madi a Thavha, were we enjoyed the pool, the great locally sourced food and crafts, the mini museum and a few visits to local cultural attractions. That place has incredibly beautifully designed arte-facts all over their huge property at the foot of the mountains. Kids were deliriously happy with the pool and giant trampoline. Wow! What a fantastic holiday. Beste Jessy, Wat een fantastische adressen en reis heb je voor ons gemaakt. Wij hebben genoten van het mooie land en de activiteiten. Dear Bud and Jonda and the whole family,Thank you so much for the lovely flowers!! What a nice surprise to come home toI hope you enjoyed Livingstone and were able to see the Victoria Falls. Did you have a good flight back home? Greetings from cold Cape Town! Anyway we are super happy about our whole trip and the itinerary prepared by you. Everything has been perfect, we would just have needed a bit more time!! I know this is your job but THANK YOU for helping us making our ZA trip an amazing experience! Goedenavond Jessy, Inmiddels zijn wij alweer een paar dagen thuis en aan het werk. We willen je bedanken voor de hele mooie reis die we gemaakt hebben en voor de fijne organisatie en mooie locaties die je voor ons hebt uitgezocht. Het was ook fijn dat je af en toe stand-by was, dat gaf een gerust gevoel. Wij hebben ontzettend veel mooie dingen gezien! We zijn nog lang niet uitgekeken en hopen nog eens terug te gaan. Nogmaals heel erg bedankt! Misschien komen we je nog eens tegen bij Edwin en Heleen. Dat zou leuk zijn. I am the Assistant Director of the BYU Global Business Study Abroad which participated in a guided tour with PlanetPilgrims, formerly Extraordinary Travels on May 21st– 24th. Our time with Johann and Gys was wonderful and we were so pleased with our tour. Again, thanks for providing our group with a wonderful time in Johannesburg. We all loved it! 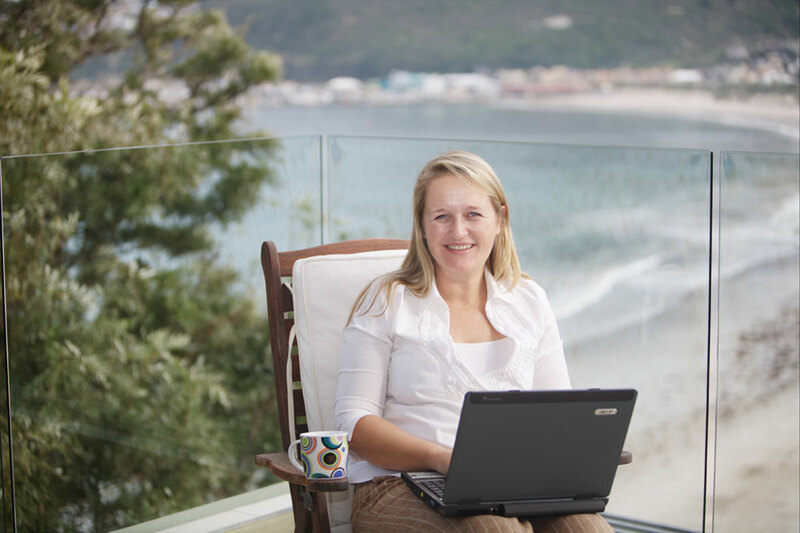 I would like to whole-heartedly recommend Jessy Lipperts to organize any kind of business travel, meetings, or conferences in South Africa. She does an outstanding job. We recently completed a study trip to Cape Town and Johannesburg with 25 MBA students. Not only were the travel details flawless, Jessy was instrumental in setting up outstanding meetings with South African business leaders and government representatives. She quickly grasped what we were trying to achieve, and built a well-balanced agenda of social, political and business appointments. She stayed with us for the entire trip, making sure nothing would go wrong. She is easy to work with and pays close attention to details. In short, she is exceptional. I hope I have the pleasure to work with her again.